Kids love anything that screams, “Fun!” Whether it’s bright colors, 3D illustrations, and so on, the more creative it is, the more the kids are going to love it. 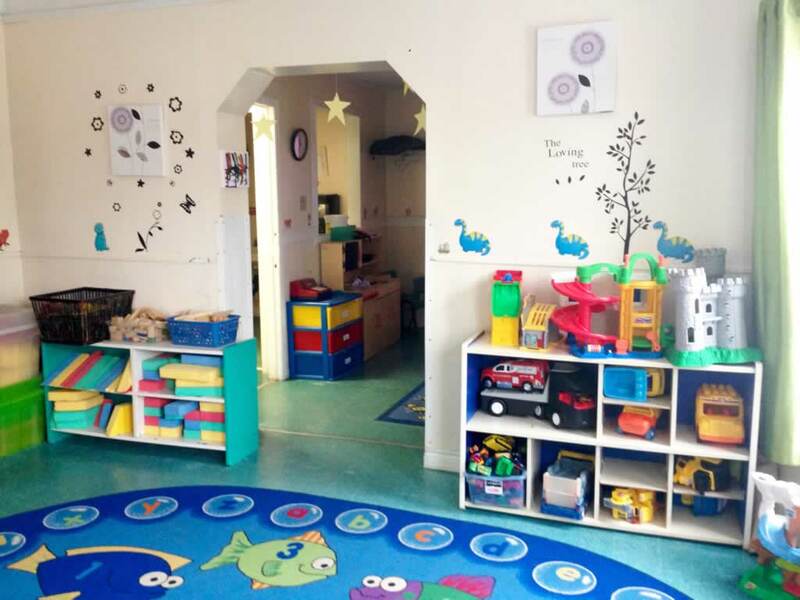 Kids require a huge space to take up their boundless energy and to nurture their developing creativity and a nursery school is a perfect place for the job. However, the size of the space is not the only thing that matters. The space of the nursery school needs the type of visual appeal that tells kids, “This is a fun place to be at!” That means multicolored rugs, pop-up posters, fake trees, and so on. Such creative décor can really bring out the fun and imagination that lives in every kid who walks through your nursery school’s doors. 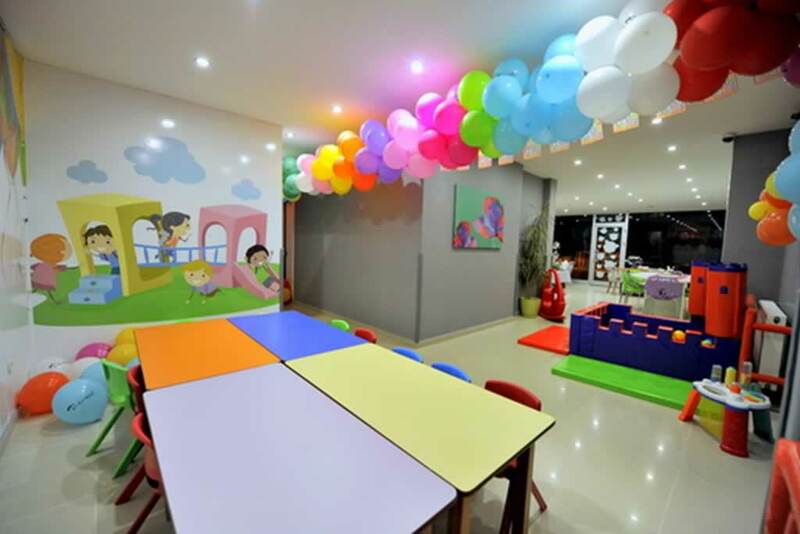 Do you want to get fun, creative décor for your nursery school? Most of the items are easy to get and setting them up is really, really simple. Getting décor is easy but you also have to make sure that you have an idea of what the kids would like to see in the nursery school space. Or are you worried about costs? Not to worry, you can check out 9 fun nursery school décor hacks right here! These hacks are creative, simple, and extremely cost effective to implement and your students are going to love them. If you want kids to notice how fun and awesome their nursery school is, start with the door. Having a door that kids usually see everywhere they go gives them the impression that the school is just another boring place and that there’s nothing interesting to be seen. In order to change that and make them inquisitive about the school, start with a colorful, quirky design on the door. You don’t necessarily have to paint the door in different colors but you can start by using a colorful paper as a base and slowly adding pieces of paper to it to create animals, rocket ships, and other things that kids love to see. Such things appeal to kids’ inquisitive nature so if you have such images decorated on your door, your students won’t be able to resist coming in every day for school. Real Plants or Fake Plants? It is important to teach children about the importance of plants and animals in life and how to respect them. While using real plants in the classroom sounds like a good idea, it would actually be detrimental to young children. For example, if a child contracts a pollen allergy from a real plant in the classroom, your school could get in trouble because of that. Fake trees, silk floral arrangements, artificial succulents, boxwood topiary trees and so on would be better for classroom décor as they are extremely low maintenance and look just like real plants. With fake plants, your students can learn more about plants in a safe environment and as a plus, they make great décor for your nursery school. Keeping plain old shelves in neutral colors filled with books will not stimulate nursery school children to even pick up a book, much less read. You can change that by converting small boxes into display shelves. You just have to pick a box, either paint it or cover it with bright colorful paper, label the genre of the books placed in it, and stack the books up for reading. Plain old shelves are quite expensive to get or paint so this cost-effective and creative method will be more beneficial for you in the long run. Nursery school children absolutely love LEGOs. If anything can stimulate a child’s creativity, it is a huge LEGO set. Kids can learn to build almost anything and everything from a LEGO set. If you want to bring a bit of LEGO to your classroom, you can start with a LEGO wall. Making it is very simple. It is basically just different strips of colored cloth or paper with plastic colored plates attached to it. While it sounds tedious to install, it is actually fun to make and your students will go crazy over it. Same Classroom, Different Theme, Kids’ Choice! It’s not fun to just have one boring theme for the classroom. That’s almost as good as having no theme at all! Instead, have your students choose a theme that they would like for their classroom every once in a while and get them to help decorate the classroom with you. Whether the theme is superheroes or dinosaurs, go all out with your kids. Let them express their creativity along with you by decorating the classroom in a different theme every now and then. This activity will also be great for you to bond with your students and to get to know them better. Kids love color just as much as they love candy. So what would be a great way for them to learn about colors and get lots of sunlight into the classroom at the same time? Make some parts of your window stain glass. This will not only give an aesthetic appeal to your classroom, but also make the place look a whole more fun and exciting for your students. A theme for your reading area would be perfect for your students to make reading a whole lot more fun and exciting. It can as big as superheroes or as small as a tree of knowledge decorated against the wall. All you need to do is just pick the theme, find a creative way to implement it, set up your library, and get your kids ready to read! This is great for helping kids follow your class timetable. You can just frame up the colored paper with see-through plastic on top and write out your objectives and goals for the day or week. Be sure to check the quality of the plastic and the markers that you are using. Otherwise, you might end up with backfiring results. Instead of getting blinds or regular cloth curtains, make some of your own with the kids! You can get different colored streamers or pieces of paper and put them together to create unique designs for the curtains. Not only do you save up on the cost of blinds and curtains, but you also get a fun creative activity that you and the kids can enjoy! These are some fun nursery school décor hacks that are guaranteed to make your school appear more colorful and fun. If you feel that you could use some of these ideas for your classrooms and the entire school, go ahead and let the creativity flow with your kids. Happy Decorating!